Most of the popular Indian fiction suffers from bad writing and stupid & stereotypical stories. 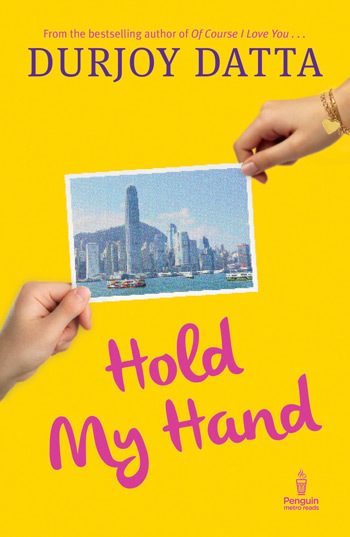 I expected Hold My Hand to be the same; but, to my surprise, Durjoy Datta writes well. He knows how to capture the subtle details of reality and how to cast the spell of a character’s internal monologue to make characters come alive. For a book of read-and-throw genre, that’s a remarkable thing. Hold My Hand (better titles please?) is story of a very tall, awkward, book-worm, and invisible to girls bong boy, Deep, who ends up with an internship in Hong-Kong and there begins his love story with Ahana, a stunningly beautiful and blind girl. Deep’s character, life, and monologue is beautifully narrated and well captured. The First half of the book is narrated entirely by Deep and is exceptionally good for the genre. There was depth to the story. Ahana, a beautiful & blind girl struggling to find herself — a very ambitious character. And executed very badly. If at all, at times her character seemed to be a caricature of blind people. No one cries about their blindness all-day long. Especially if they’ve lived with it for years. Even if they do, that’s not how it is. Apart from un-real-ness of one of the two key characters; the story doesn’t have any depth. But it’s a read-and-throw thing after all, with no literary value. It’s a dreamy, not so real, could’ve-lived-without-reading it love story which exists for the sake of it. Most of the plot points are so bland that they exist solely to make it easier to write it. Ahana wasn’t blind till she was 5 years old, well a great help so now she knows the world in visual way. But even then there are enough inconsistency to break that spell. Especially when she starts talking about ‘shades’ of pathetic. She gets her eye-sight back in the end. So filmy ya. Deep’s company calls him to Hong Kong, for an internship, keeps him at an expensive hotel and then they don’t even care if he comes to office at all. Durjoy Datta writes very well. I wish he told better stories, stories that matter and had depth. PS: The book cover is pretty bad, especially for a Penguin book. But it’s beautiful typeset in Bembo Roman. A treat to the eyes! Published on December 25, 2013. Updated on December 25, 2013.